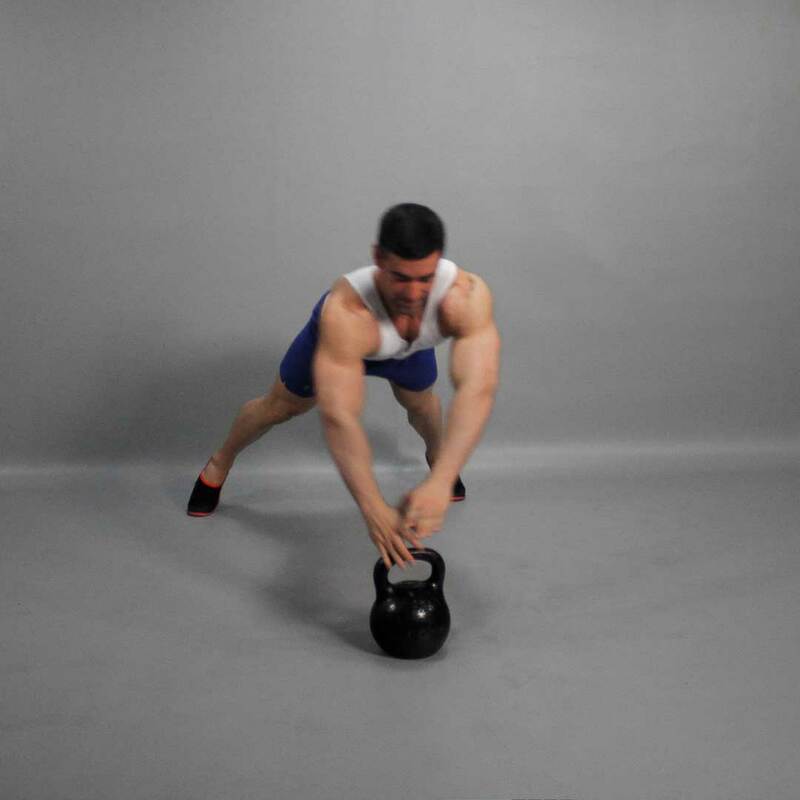 In the starting position rest one hand on the ground and the other hand holding the kettlebell. This ensures the maximum stretch of breast muscles. Your waists should be placed on standard push-up width apart. Quickly and powerfully push yourself up from bottom position. 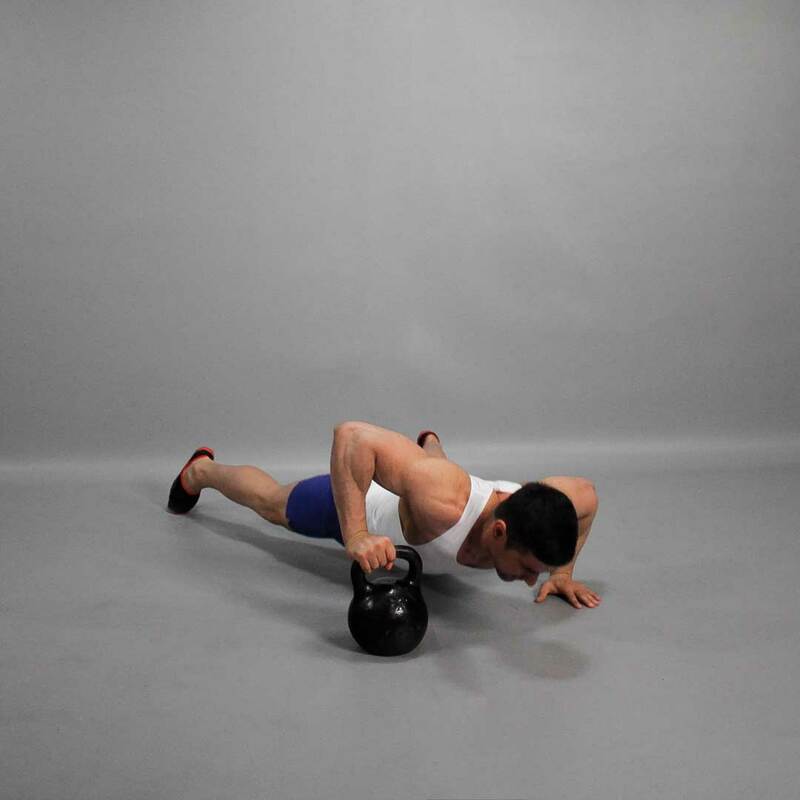 Push off the kettlebell and lower your body so you can switch your hands. Alternate, increased load on each hand, creates an extreme tension in the chest.